Our HACCP certification course is designed for supervisors and managers in accordance to HACCP guidelines for the implementation of food safety for both food handlers and consumers. Upon completion of this course, you will be able to ensure that you and your employees are competent to fulfil duties safely to international HACCP standards. Under EU food hygiene legislation (Regulation 852/2004, Article 5), food businesses are required to implement an effective food management system based on the international HACCP system. 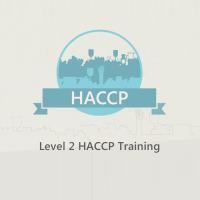 This City & Guilds accredited course provides the information to explain the importance of HACCP principles and prerequisite programs, the background of HACCP, and how to apply HACCP in different sectors. 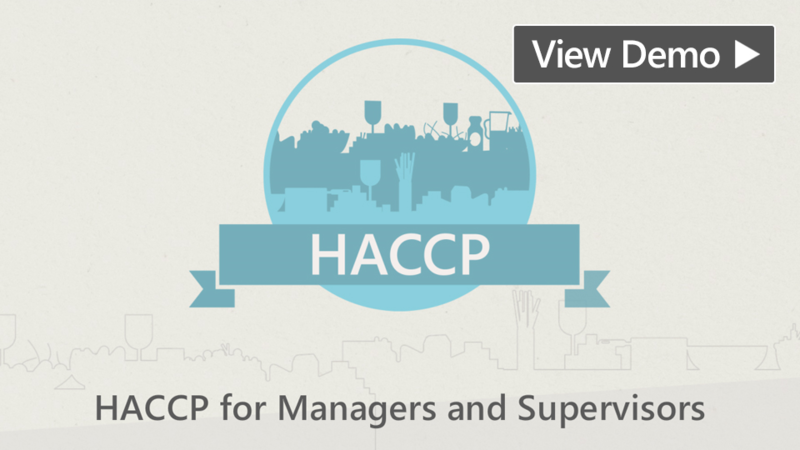 This HACCP course is aimed at food supervisors and managers who are responsible for food hygiene and safety and implementing an effective HACCP system into the workplace. 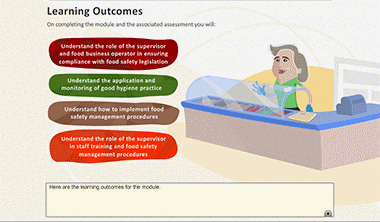 Upon completion, learners will understand how to develop a HACCP plan, the different phases of HACCP food safety, the terms of reference, the five codex preliminary steps and the seven principles of HACCP. 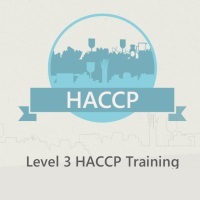 Learners will sit an online training test and upon successful completion, will receive a City & Guilds HACCP Certificate in HACCP for Supervisors and Managers, meeting the legal training required for food industry professionals. 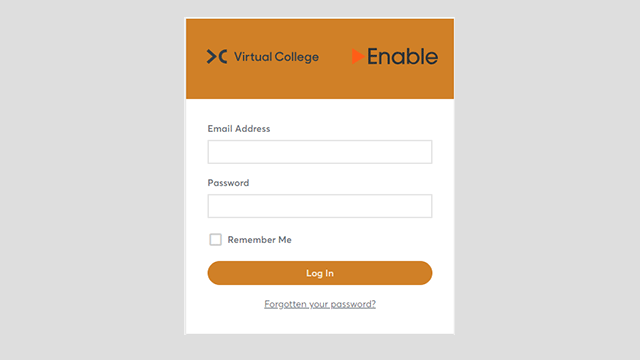 As a recognised City and Guilds Accredited centre, our course content and our learner support systems are all City and Guilds approved quality assured, including our online delivery processes. Upon completion of our courses you will receive an official City and Guilds certified qualification for HACCP for supervisors and managers. An introduction to HACCP- In this introduction you will have an overview of food safety management and a food safety management model, you will understand what HACCP is and why it is crucial based on lessons from food safety incidents, and the history of HACCP. 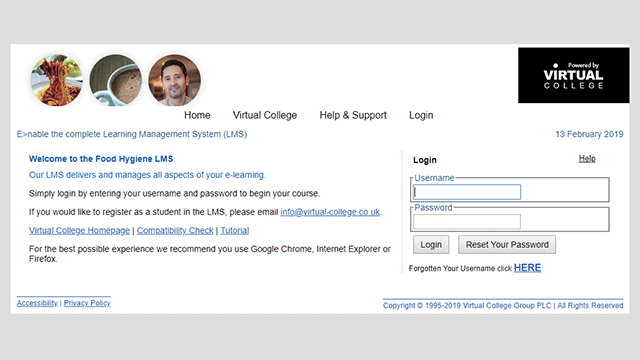 Prerequisite programmes- This module discusses prerequisite programmes from what they are, what they should contain and also examples of these programmes. 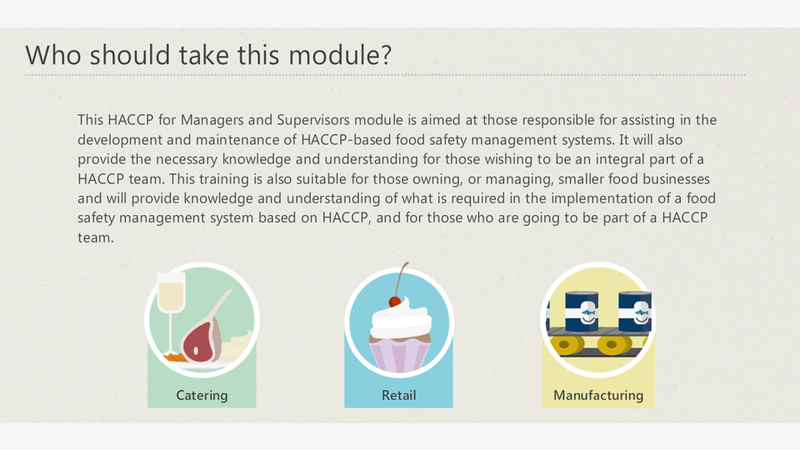 Approaches to HACCP- We discuss the approach to HACCP in this module, what the codex principles are and how these can be applied, we look at product specific HACCP procedures, catering models and retail models. 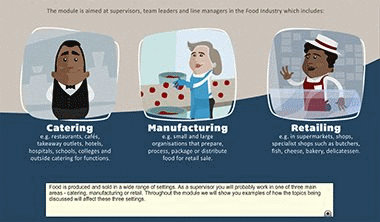 How to develop a HACCP- In this section you will learn how to start to develop a HACCP plan, how these all fit together, what the phases of HACCP are with terms of reference, the seven HACCP principles and the two final steps for a HACCP plan. Conclusion- An overview of what you have learnt and how you may put these into effect within your working environment. 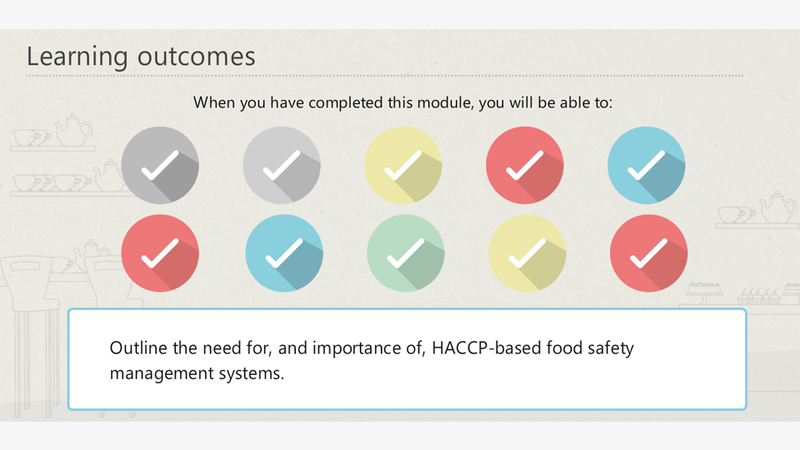 Upon completion, you may print your digital HACCP for Supervisors and Managers certificate immediately. The training and test usually take between 2 to 3 hours to complete (depending on learning speed). This is equivalent to 6 hours face-to-face group training.